The PPS5, transversal to the project, aggregates the results of the first four PPS, guaranteeing their integration, validation and joint demonstration. PPS6 supports the activities necessary for the management and promotion of the project, as well as its interconnection with other national initiatives. PPS1 is focused on products and services for the access network, aiming to follow and implement the concept of fixed-mobile convergence, in a context of Cloud RAN and infrastructure sharing, in a unified and integrated architecture, supported by 5G technology. It is intended to have the entire 5G access ecosystem based on the CRAN concept. The objective is to create centralized (CU) and distributed units (DU), CPEs and 5G monitoring systems, for their use in future 5G networks. Also in the access networks area, and leveraging the know-how in NVF / SDN, a framework will be developed that will allow a simplified management of home networks through CPEs’ virtualisation (vCPE). 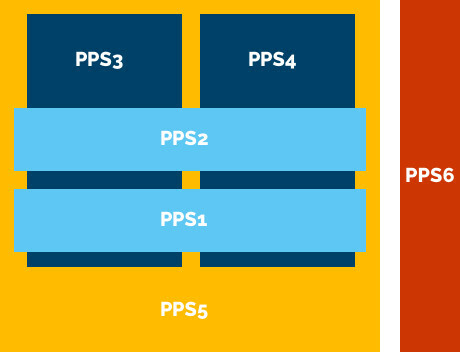 PPS2 addresses key aspects that translate change vectors introduced by 5G (3GPP Release 15) specifications in particular, and the evolution of networks, services and their operation in general, proposing a set of products and services that aim to benefit from the service-based model of the core 5G architecture. The resulting products and services will, from a technical perspective, determine the ability to control and manage in an increasingly autonomous way the future Operator network and the services (internal and external) that will be based on it, and from a market perspective, explore and take advantage of new relationships and business models resulting therefrom, translated into the ability to realize, manage and market Network Slices. Research, development, validation and demonstration of a set of innovative products using future 5G networks M2M communication services. 5G M2M critical communication requirements specification and validation regarding availability, latency, integrity, safety and security to support new products use cases. In this PPS, numerous products/services will be developed for the consumer market (B2C) and corporate market (B2B, direct), as well as other components needed to support the final products (intermediate) and the development of mechanisms to support the video services in 5G networks, in order to optimize the latency and also the resilience. Therefore, the future communications will allow the coexistence between actual and future technologies with 5G technology. This PPS has as a goal to (i) define the technical-scientific guidelines of the project, such as the integrated system architecture, focusing on the underlying technologies identified in the other PPSs, and analysis methodology, (ii) to validate and (iii) demonstrate integrated products by combining the results from different PPSs. PPS6 will support the activities necessary for the management and promotion of the project, as well as its interconnection with other national initiatives. It aims to guarantee the efficiency and quality of project management, in technical-scientific and administrative-financial terms, prioritizing the implementation of the management strategy previously defined by the consortium and streamlining the articulation and communication between the various bodies involved in the project management, namely the Guidance and Supervisory Board (COF), the Consortium Manager and the Advisory Board. Copyright © 2018 - 5GO.pt – All rights reserved.